The Department of the Classics welcomes visits from prospective students and their families. Our offices are located Hall Building, adjacent to Magill Library, and many of our courses are taught in the building as well. Prospective students are welcome to sit in on any class. You can check the Courses page to see which classes are meeting during your visit. LATN refers to courses primarily aimed at the acquisition of Latin; GREK at Greek; CSTS on courses on broad topics related to the ancient world and its reception whose readings are available in translation. 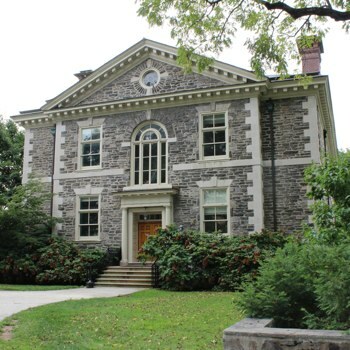 If you would like to meet with a faculty member to learn more about studying Classics at Haverford, we invite you to make an appointment by contacting the Chair.